Our concert is coming ... two weeks from tomorrow! Please share this information far and wide. What a great opportunity to attend a free concert at a historic venue! Northern Utah Youth Symphony and Chamber Orchestras will present their first concert of the 2017-2018 Season, Saturday, November 18, 2017, 3:30 pm at Ogden High School. Admission is free, thanks to our sponsors including Classical Strings and On Track Counseling (Aaron Gardner - Psychotherapist and Neurofeedback, Logan and Ogden). The Chamber Orchestra, conducted by Nathan West, will open the concert with a Latin-Themed program including Christopher's Fiesta for Strings, Yradier's La Paloma, Graf's arrangement of Yellow Bird, and Hall's Dancing in the Street. The Northern Utah Youth Symphony, conducted by Conrad Dunn, will then take the stage to perform Mussorgsky's Night on Bald Mountain, Highlights from "Wicked", A Canadian Brass Christmas, and Mendelssohn's Violin Concerto featuring Sarah Francis, a long-time member of the youth symphony. Northern Utah Youth Symphony and Chamber Orchestras are projects of Lake Bonneville Symphonic Society, a 501(c)(3) non-profit organization supported in part by the George S and Dolores Dore Eccles foundation, and the Utah Division of Arts and Museums with funding from the State of Utah and the National Endowment for the Arts. 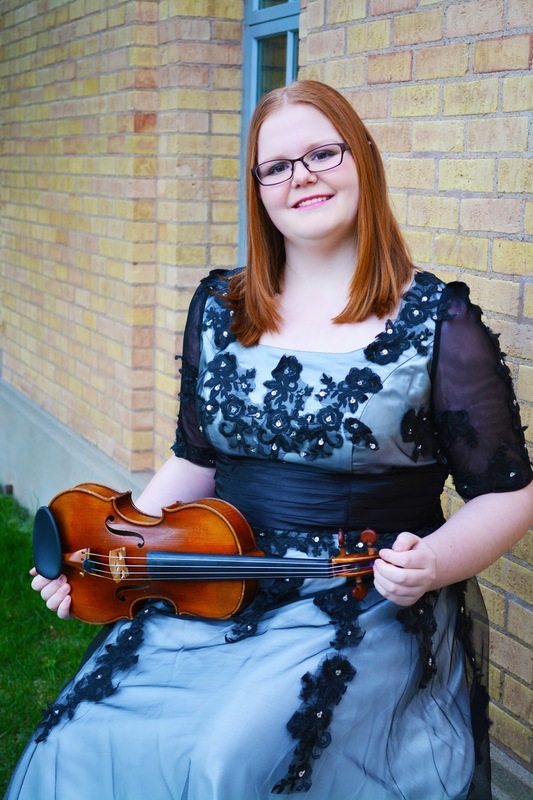 Sarah Francis has been studying violin with Elissa Krebs for 11 years, and has been a member of Northern Utah Youth Symphony for the past five years. She is a junior at Ogden High School, where she has been serving as concertmaster of the Camerata Orchestra for two years. She currently tutors orchestra students at Mount Ogden Junior High School. While at Ogden High School, she has participated in All State Orchestra, and received superior ratings at regional and state solo and ensemble festivals, and, she was the concertmaster for the 2017 Weber State University Honor Orchestra. She loves chamber music. One of her favorite experiences has been participating in summer chamber music camps coached by the Fry Street Quartet and Lee Trio. She currently plays in a violin trio with the Junction City Music School. She has enjoyed participating in master classes and workshops with violinists Sarah Tasker, Chloe Trevor, and Jenny Oaks Baker. She is a volunteer for the Ogden Symphony Ballet Association Youth Guild, and also a member of the National Honor Society. She enjoys participating in musical theater productions, fiddling with friends, attending seminary, storytelling, and teaching piano. Saw a couple of your videos before and fell in love with your music. Was hoping to see you guys live and I think that time has finally here.